What is a Pennsylvania Non-Compete Agreement? Pennsylvania Non-Compete Agreement: What Is It? 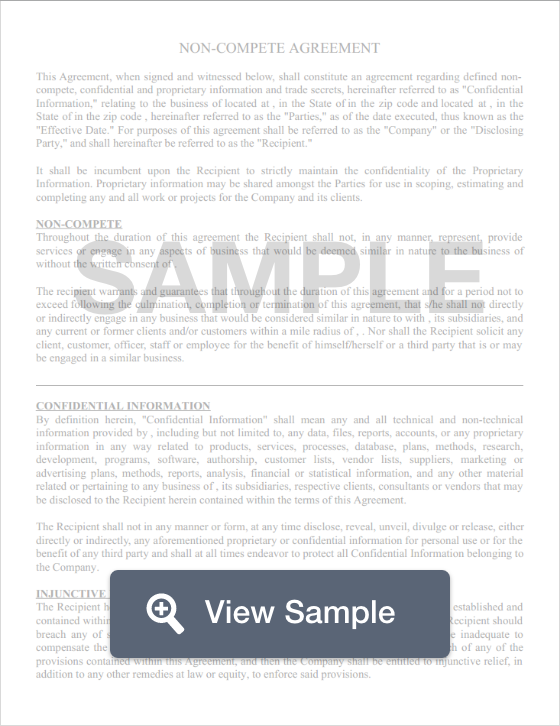 In Pennsylvania, a non-compete agreement is a legal document that allows companies to protect their trade secrets and business practices by receiving a written promise from employees and contractors that their information will not be shared with competitors. These specifics often include promises that the employee will not pursue employment with a competitor for a given period of time, or that he or she will not work for a similar company within a geographic radius. Although there are no specific laws that govern non-compete agreements in the state of Pennsylvania, however, it is important that both parties understand what the terms and conditions of the agreement are before it is signed. In addition, employers are encouraged to be mindful. A non-compete agreement should not impose more strain than necessary on the employee.